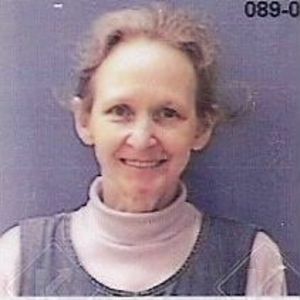 GREENVILLE - Rebecca Joyce "Becky" Sigers, 60, of Greenville, died Monday, October 24, 2011 at 2:01AM at her home. Mrs. Sigers was born July 15, 1951 in Meade, West Virginia. She was a homemaker and member of Powderly Holiness Church. She was preceded in death by her parents, John and Beatrice Childers; and granddaughter Ashley Sigers. Survivors include her husband, Mike Sigers Sr.; sons Mike (Vanessa) Sigers Jr., Tim (Tammy) Sigers, and Shawn Sigers; sister Sharon Ortiz of Bloomington, IL; brothers John (Carol) Childers of Bloomington, IL, Mervin (Linda) Childers of Winfield, IL, Michael Childers of Los Angeles, CA, and Tom (Carol) Childers of McKinney, TX; grandchildren Brittany Thomas, Chris Davis, Karissa Davis, Kayla Sigers, Michael Sigers, Landon Sigers, and Stetson Sigers; and great-grandchild Jaden Thomas. Funeral services will be Thursday, October 27, 2011 at 1:00PM at Powderly Holiness Church, with Bro. Larry Shemwell officiating. Burial in Rose Hill Cemetery. Visitation will be Wednesday after 5:00PM and Thursday after 8:00AM at the church. Tucker Funeral Home is in charge of arrangements. Online condolences may be made at www.tuckerfuneralhomes.com. Sorry to hear about your loss. My mother thought a lot about her. She worked at GE with her, and she always said I was named after her.